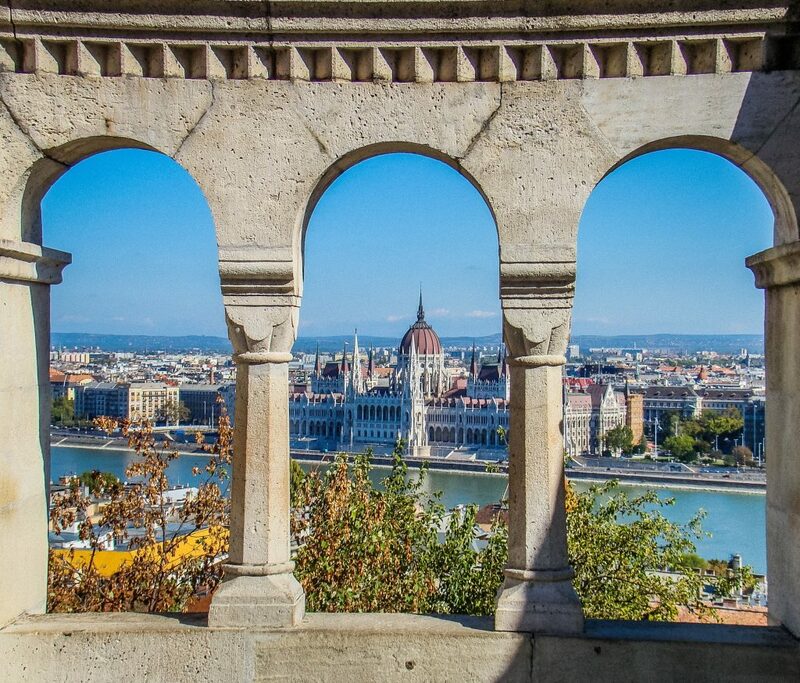 Budapest is often named as one of Europe’s most beautiful cities; and for good reason. 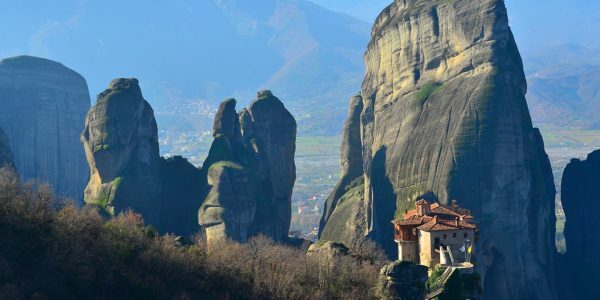 It’s home to the world’s largest thermal water cave system in the world, as well as an abundance of incredible culture, history and stunning architecture. 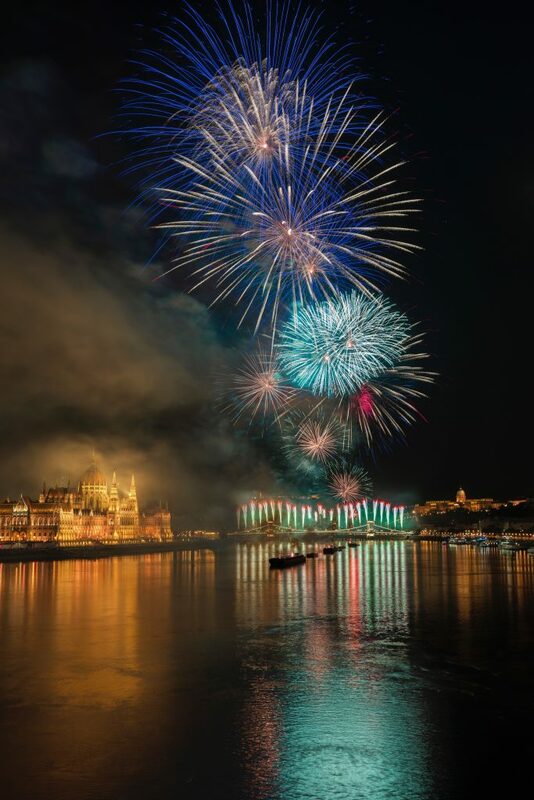 Around 4.4 million people visit the Hungarian capital city every single year to indulge in the culture and vibrant history that it has to offer. 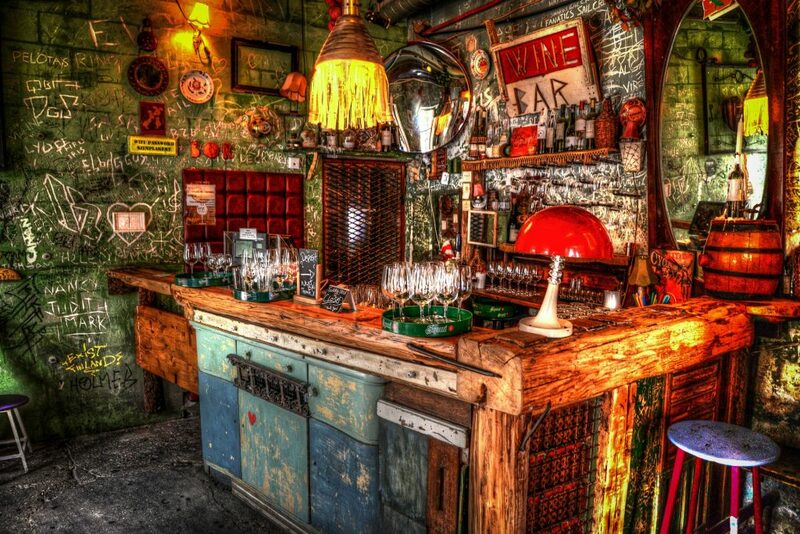 Budapest is also renowned for its ruin bars, delicious stews as well as the plethora of museums and galleries. The city is split into two sides; Buda and Pest by the Danube River and both sides have their own individual characteristics and charm. Budapest is considered to be both a city and a county and it forms the centre of the Budapest metropolitan area, which comprises of 33% of the population of Hungary. 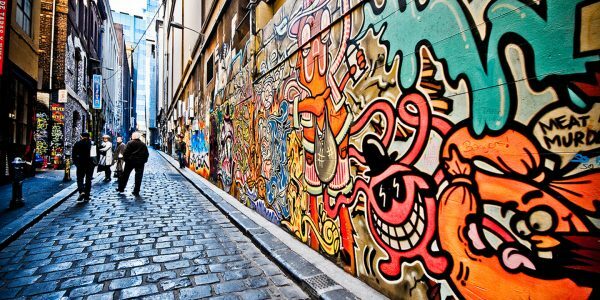 It’s home to a number of world-famous architectural buildings and sights, as well as vibrant culture and historic artifacts which you’ll discover in the many museums and galleries. With so much to see and do in Budapest, it can be a little overwhelming knowing where to start. 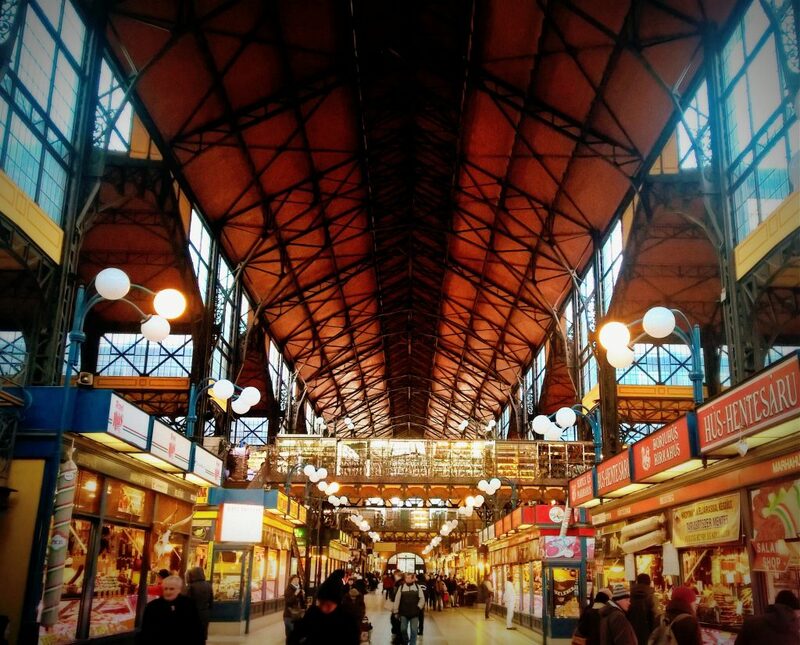 This guide will provide extensive insight into what to see, what to do and what to eat in the Hungarian capital! 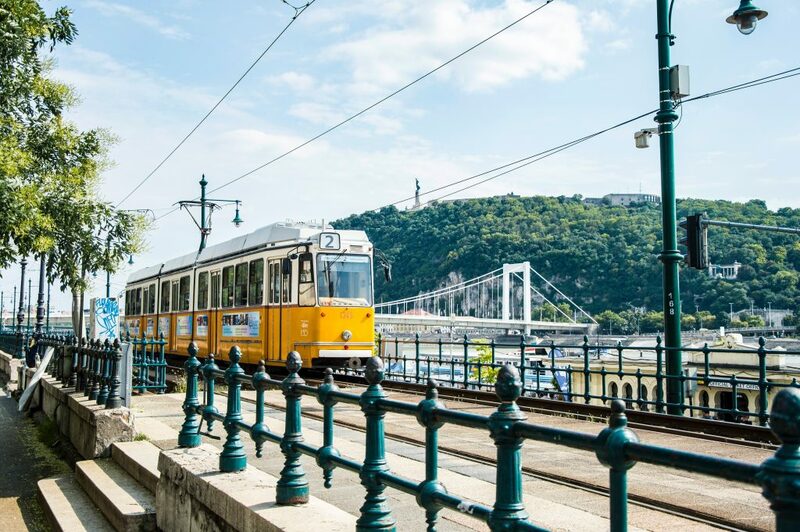 Budapest can be accessed by almost any means of transport including plane, car, train, boat and bus. Travelling to Budapest by plane is probably the best, quickest and most affordable way to get there. 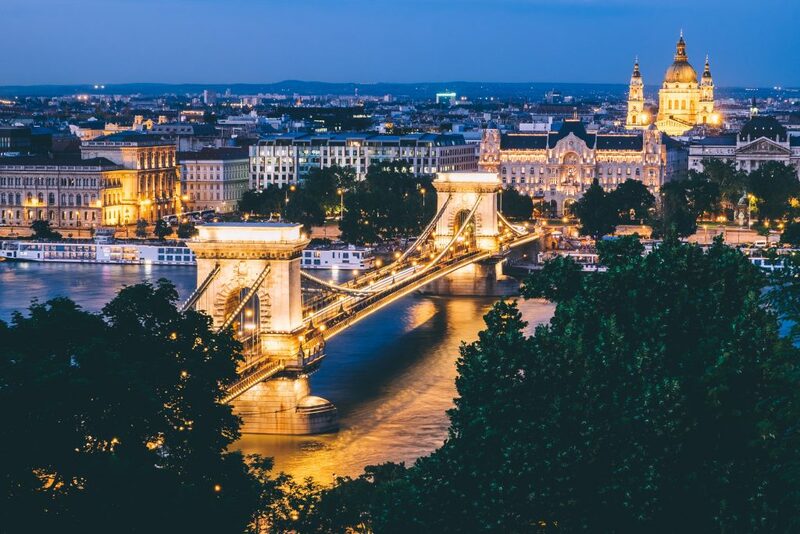 Many airlines offer incredibly affordable flights to Budapest, so whether you’re flying internally from another European city, or you’re coming from further afield, you can be rest-assured that you’ll land right in the middle of Budapest. From the airport, it’s just a 16km ride to the centre of Budapest. You can grab a taxi from the airport, hire out a rental car or opt for the airport shuttle bus that will take you directly where you need to be. If you plan on traveling from another mainland European city you may wish to travel by train. There are three train stations situated throughout Budapest, with more than 50 trains per day providing links to 25 other major European cities, meaning that it’s remarkably easy to pay a visit to Budapest during your next European tour. While in Budapest, there’s an absolute abundance of things to see and do. 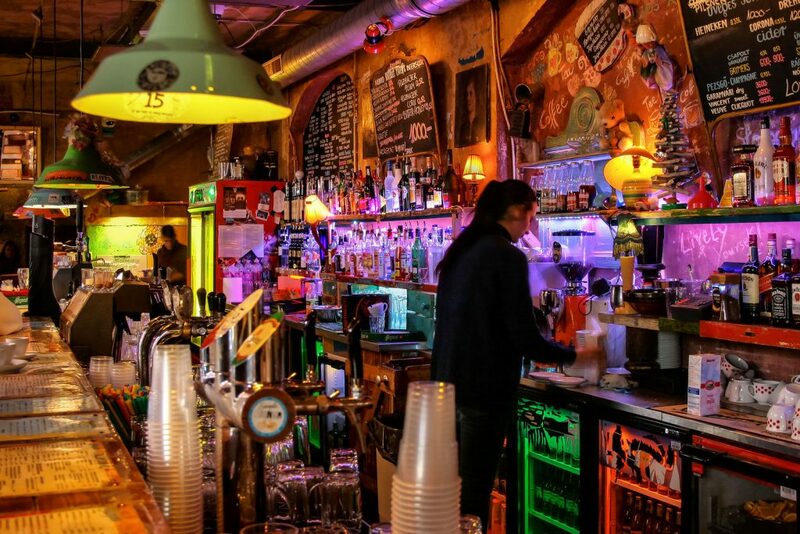 From traditional ruin bars and pubs, to some of the greatest thermal spas in the world, Budapest is sure to engross you with its awesome variety of activities! Hősök tere is one of the main squares in Budapest and is most well known for its iconic statue complex that features the Seven chieftains of the Magyars. It also pays homage to the Tomb of the Unknown Soldier. The square resides next to City Park and has played an incredibly important role in Hungarian history and politics. As one of Hungary’s World Heritage Sites, it’s a truly beautiful area to spend some time while sauntering around Budapest. The Chain Bridge connects the Buda and Pest side of the city and spans across the Danube River. It’s often compared somewhat to the Brooklyn Bridge in New York, but it’s not quite as large or imposing. 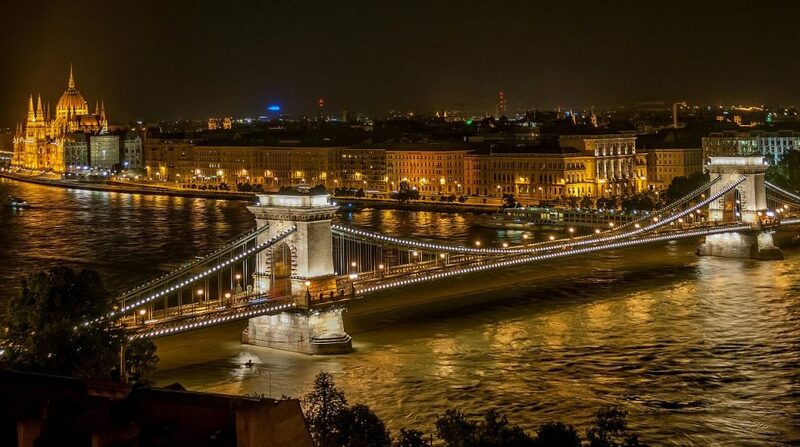 The bridge looks particularly beautiful at night when the city is lit up; it gives it an eerily magical feel and offers perfect photo opportunity and view of the Danube River. 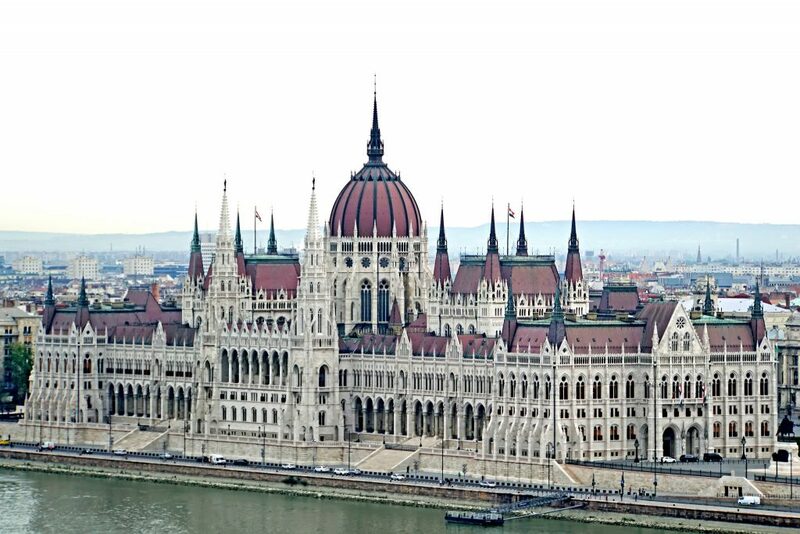 The Hungarian Parliament Building is arguably one of the most spectacular parliaments in the whole world. It resides right next to the river bank, just a short distance from the Shoes on the Danube Bank and is a truly impressive sight to behold. The impressive architecture, as well as the stunning gardens make for a beautiful location regardless of the time of year. You can also book an extensive tour to go inside the building and learn more about the way that the Hungarian Parliament operates. 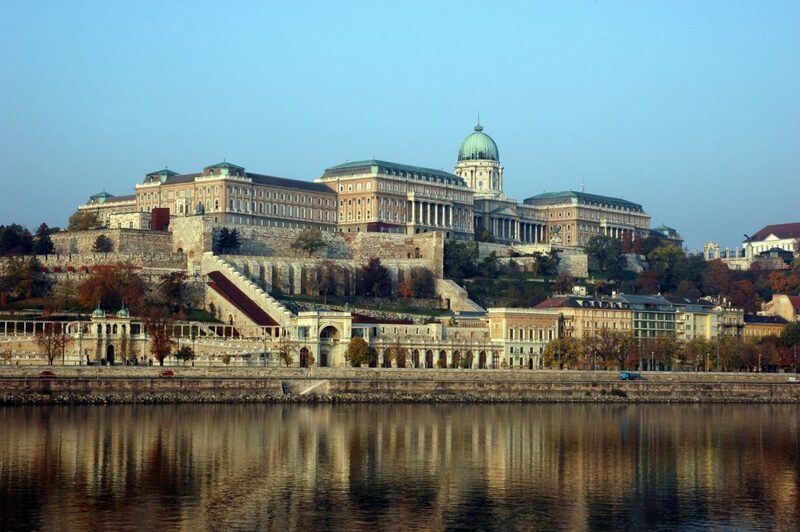 Construction of Buda Castle dates all the way back to the 1200s but was restored during the 1750s to form the stunning complex that we are lucky enough to be able to see today. The area surrounding the castle is huge and you could easily spend a few hours wandering around, getting lost and admiring the impressive views. It sits proudly upon a hill, looking down onto the Danube River and is home to the Hungarian National Gallery and The Budapest History Museum. 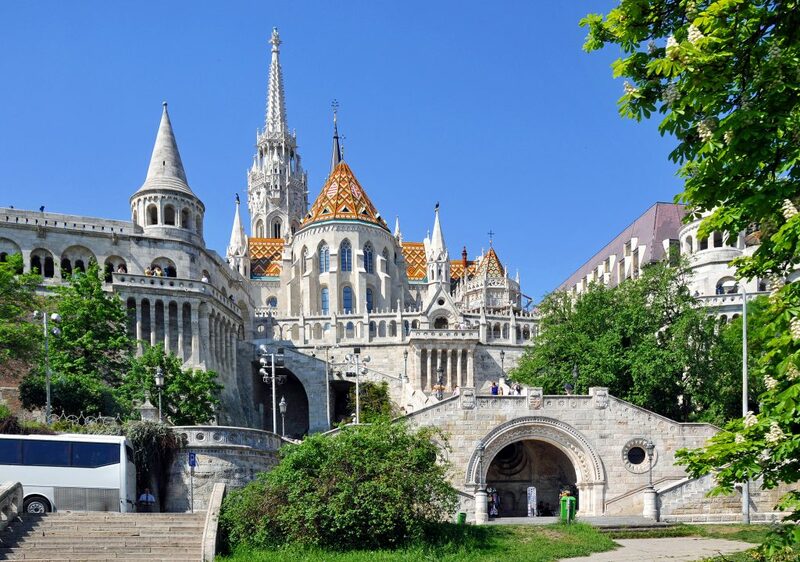 When you pay a visit to Fisherman’s Bastion, you’ll be sure that you’ve just walked straight out of a fairytale as there really is nothing else like it in the whole of Budapest, potentially even in Europe. It resides on Castle Hill and encompasses Matthias Church which is yet another stunningly beautiful piece of architecture in the Hungarian capital. The Roman Catholic church (Matthias Church) is originally thought to have been constructed in 1015 but has since been restored and updated. It truly is one of the more magnificent buildings you will see on your adventures and we strongly recommend taking some time to enjoy this stunning area. There’s a panoramic viewing platform where you can see all the way to the Hungarian Parliament building, as well as admiring beautiful views over the river. Margaret Island resides peacefully right in the middle of the Danube River, directly between Buda and Pest. It’s considered to be a tranquil haven away from the more bustling areas of the city and is home to a plethora of magical features including a musical fountain, parkland and an art nouveau water tower. If you prefer less crowded places but still love beautiful areas, then Margaret Island should definitely be on your list of places to visit while in Budapest. 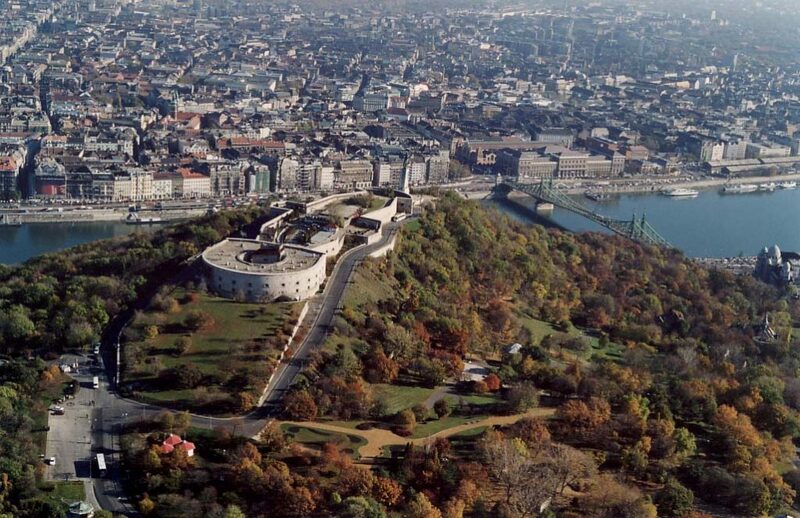 The Citadella of Budapest perches proudly on top of Gellért Hill and is a fortification that dates all the way back to 1851. Also on top of Gellért Hill, you’ll find the Liberty Statue; a monument intended to commemorate those who sacrificed their lives for the freedom and independence of the people of Hungary. The views from the top of Gellért Hill, and particularly from the surrounding area of the Citadella, are truly magnificent. It’s an impressive ascent to get to the top of the hill but it’s well worth it for the beautiful views and the archaic history that lives on top of the hill. 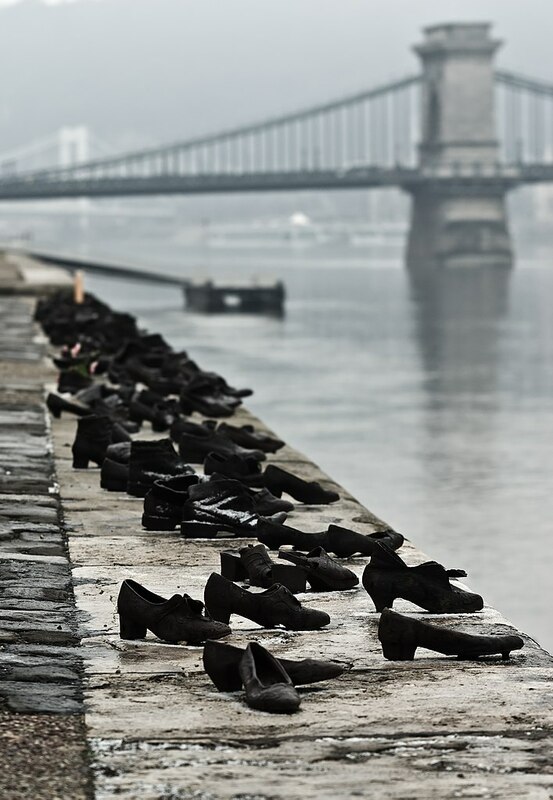 The Shoes on the Danube Bank is a sombre memorial intended to remember those who were viciously killed by Arrow Cross military men during the Second World War. It’s an incredibly harrowing experience and may be slightly triggering, so just make sure you visit with caution. 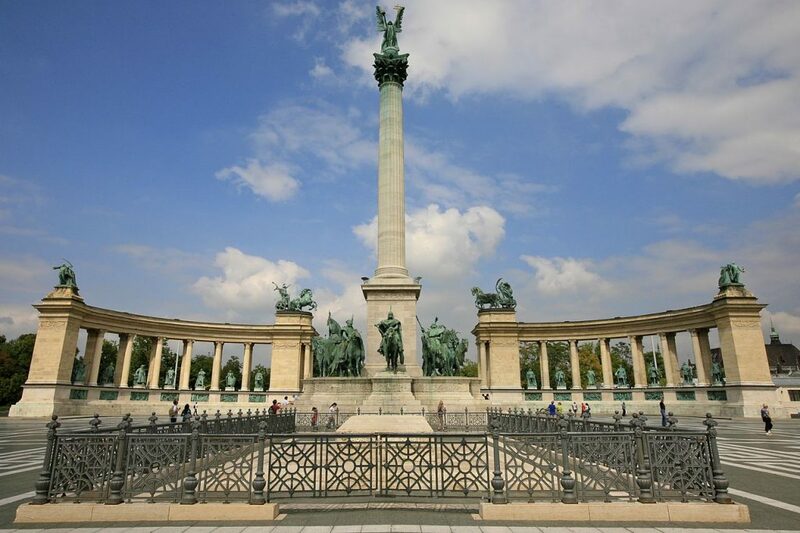 It’s also a place where people come to pay their respects and is an important monument for Hungarians. Please keep in mind to be respectful when visiting this memorial. The Gellért Baths are housed in the world-famous Hotel Gellért, and are an incredible place to check out the best of Hungary’s thermal spas and swimming pools. 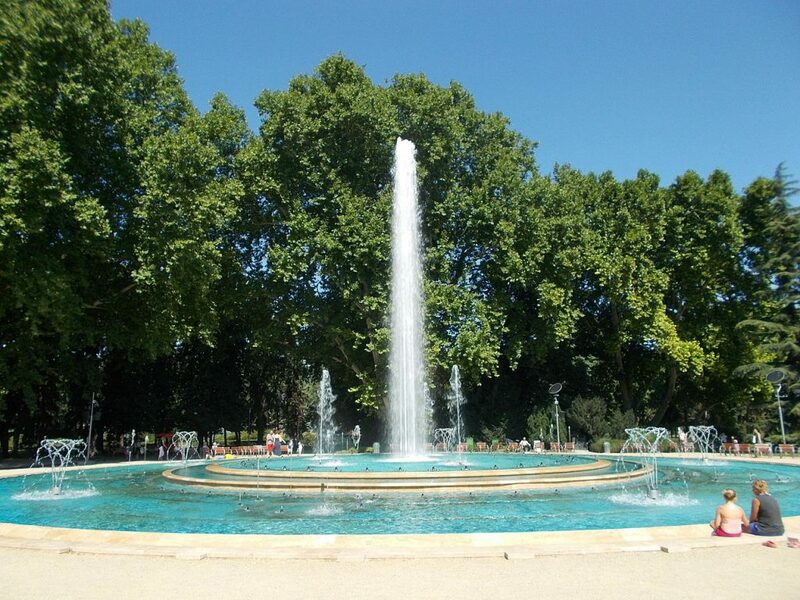 Budapest is the only large city in the world that is home to fountains of healing water. 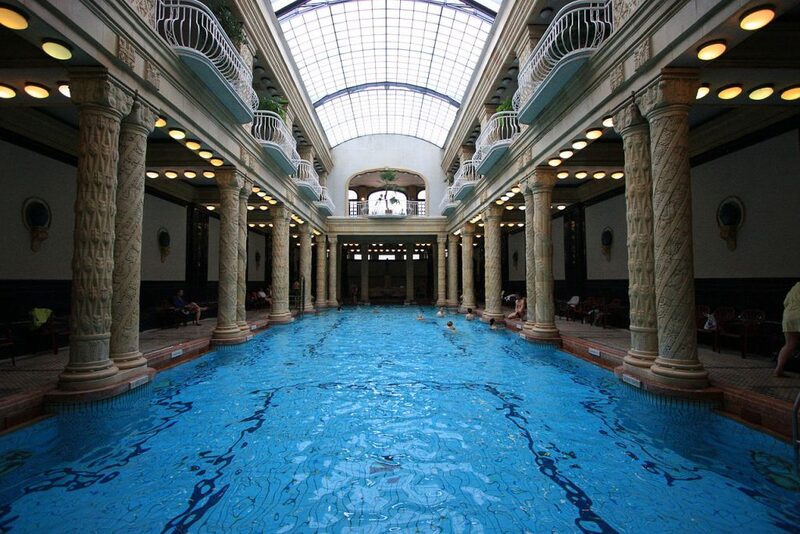 The Gellért Baths took many years to complete, and finally opened their doors in 1918. The outdoor pools were added to the complex later on but the real treat of this attraction is the 21-78° Celsius warm thermal springs. There are multiple pools situated throughout the spas, all varying in size and temperature. After you’ve had a busy day exploring the sights of Budapest, it’s a good idea to indulge in a few hours of relaxation in the Gellért Baths. There really is just no place better to take a plunge. St. Stephen’s Basilica is a Roman Catholic church that was named after the first King of Hungary and opened in 1915. Europe is renowned for its eclectic offering of stunning churches, cathedrals and basilicas and St. Stephen’s is no different. The exterior is just as impressive, if not more so, than the interior and it’s one of the two tallest buildings in buildings in Budapest, standing at 315 ft.
City Park is a public park that resides very close to the city centre of Budapest. The area of the park spans over 302 acres and its main entrance point is right at Heroes’ Square so it might make sense to tackle these two sites in the same day. 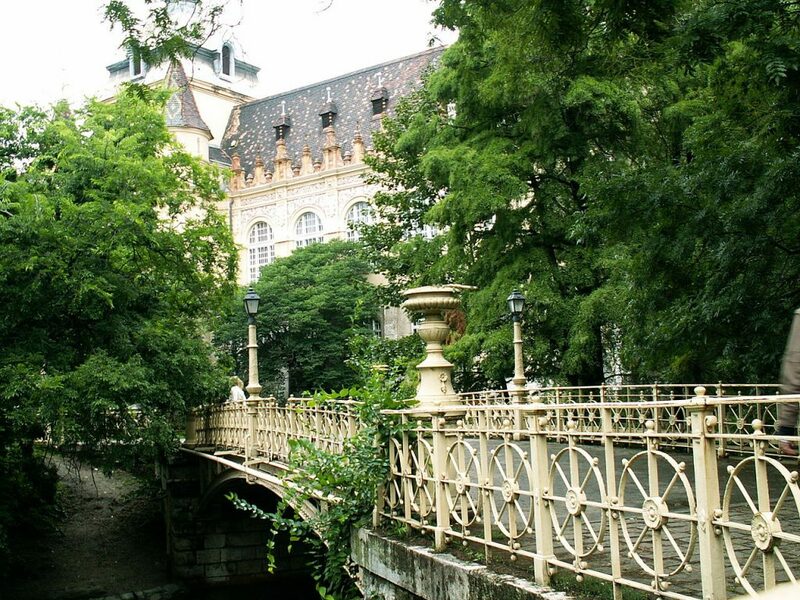 Vajdahunyad Castle is also a beloved attraction whose home resides in City Park and dates back to 1896 where it was part of the Millennial Exhibition which celebrated the 1,000 years of Hungary since the Hungarian Conquest of the Carpathian Basin in 895! The castle resembles something out of a fairytale, and with it being surrounded by beautiful scenery of trees and lakes, it’s almost feels like Cinderella’s woodland friends might come out and greet you! 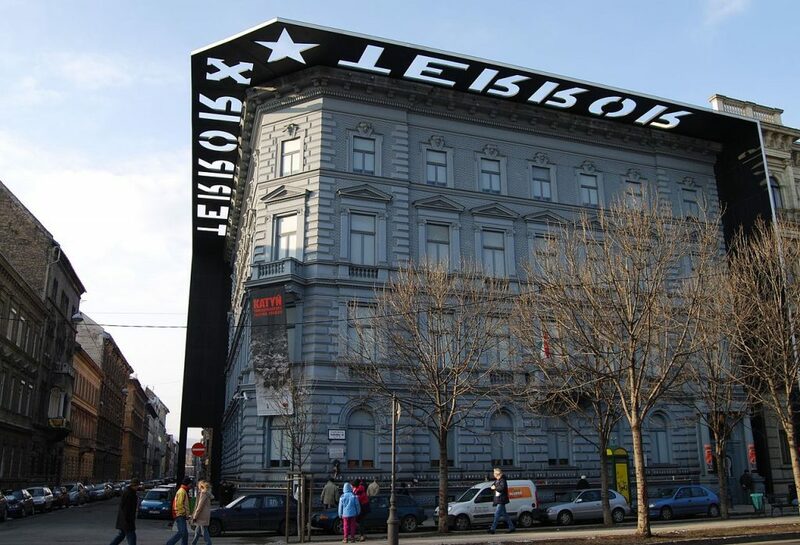 The House of Terror is a museum that’s dedicated to exhibits that portray the fascist and communist regimes of 20th century Hungary. The building itself was actually used as the former headquarters of the Nazi Party in 1940, with the basement being used as a prison. The House of Terror now also serves as a memorial to those who suffered under those awful regimes. For a sad dose of reality and history this is a place you can’t afford to miss. The largest Synagogue in Europe, and the second largest in the world, seats over 3,000 people and is the centre of Neolog Judaism. 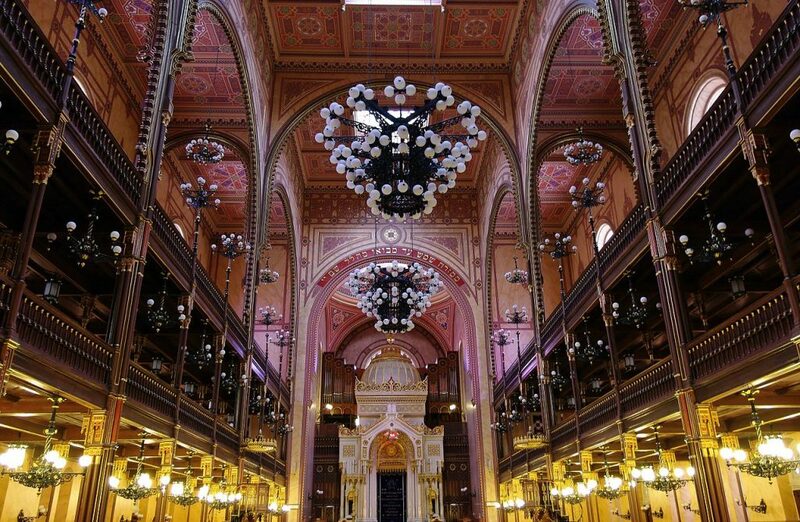 It also houses the Hungarian Jewish Museum, so it’s absolutely teeming with fascinating history and culture. 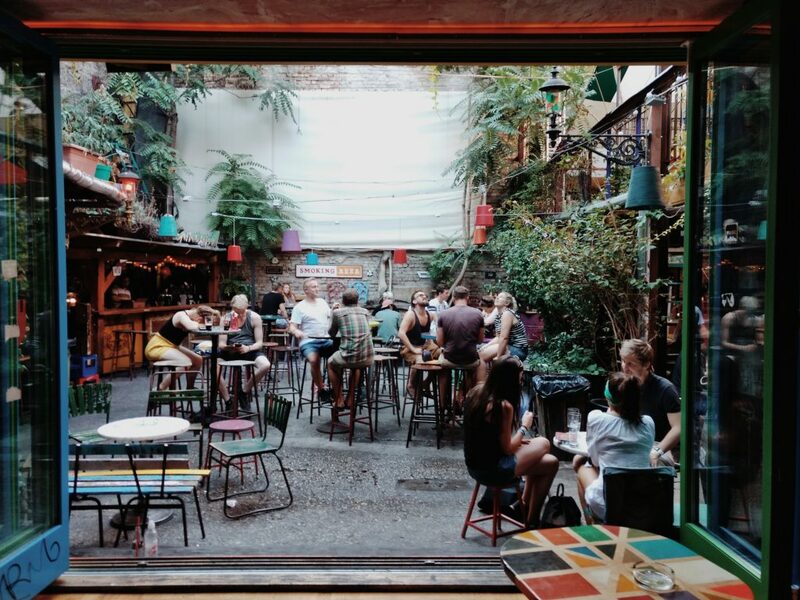 Ruin Bars and Pubs are a vital part of Budapest culture; they’re built in Budapest’s oldest district of the Jewish Quarter in the ruins of old, abandoned buildings and stores. There are dozens dotted all over Budapest, each one with its own unique charm, and are extremely popular with both locals and tourists. 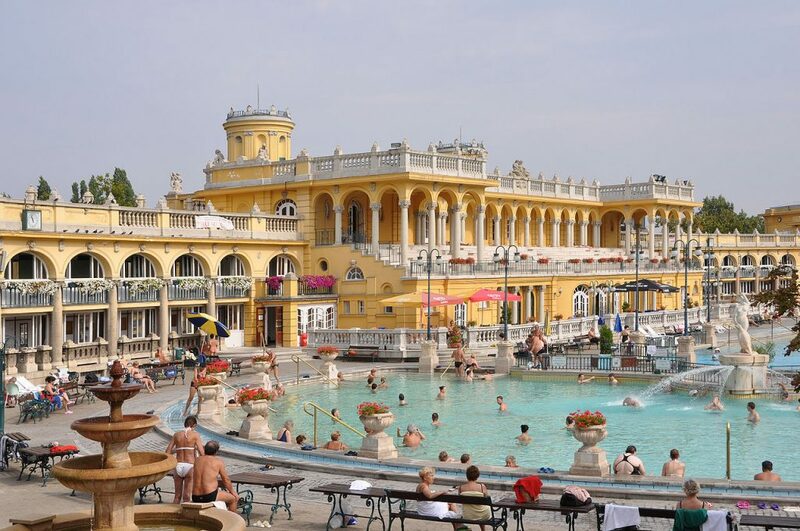 The Széchenyi Medicinal Bath is the largest thermal bath in the whole of Europe! The water to the baths is supplied by two thermal springs whose temperatures sit at 74 °C and 77 °C respectively. The baths are thought to be incredibly good for the body and mind. The baths allegedly contain healing properties and are a really good way to help you relax and unwind after a long day of touring (or drinking at the ruin pubs). They’re an incredibly popular attraction both for the residents of Budapest as well as for visitors of the city. 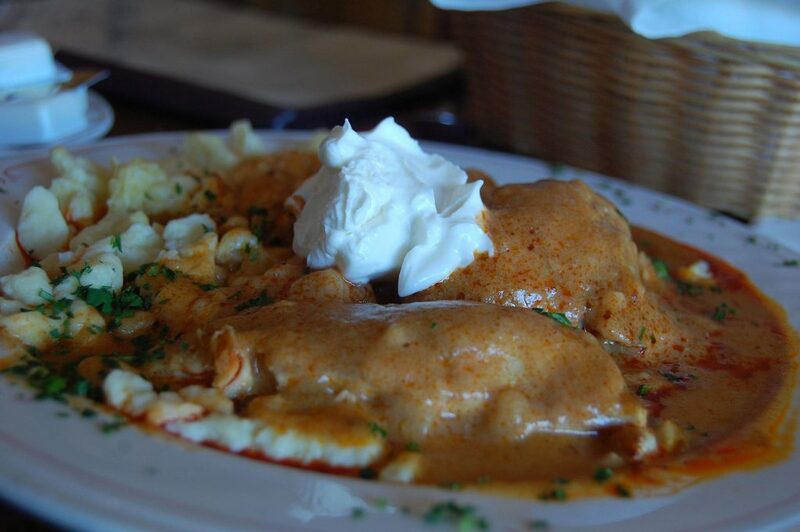 Hungary is known for its eclectic culture and unique food, with the capital city of Budapest offering some of the best dishes in Europe. Here’s what you can expect to eat in Budapest. 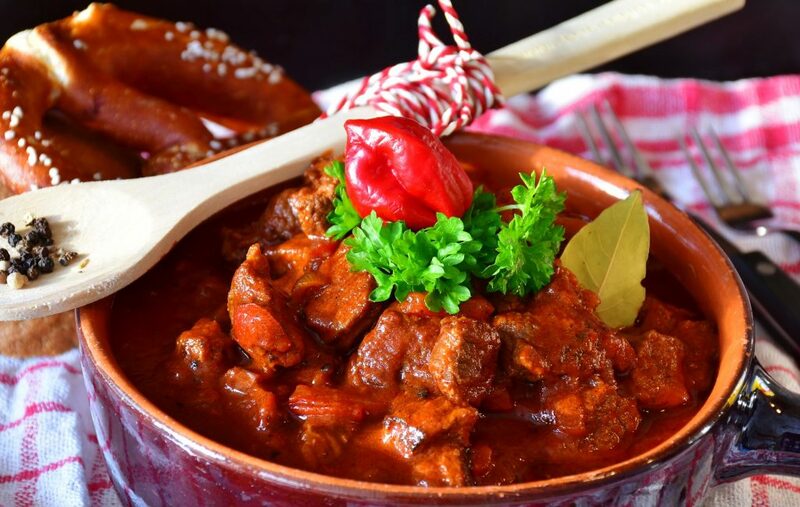 Goulash is the national dish of Hungary and is traditionally made from a meat stew with mixed vegetables and noodles. It’s an incredibly hearty dish and is perfect for those cold nights to really warm your cockles! Lángos is yet another remarkably popular dish throughout Budapest and Hungary. It’s a flat bread that’s traditionally made with yeast, flour, water and salt. 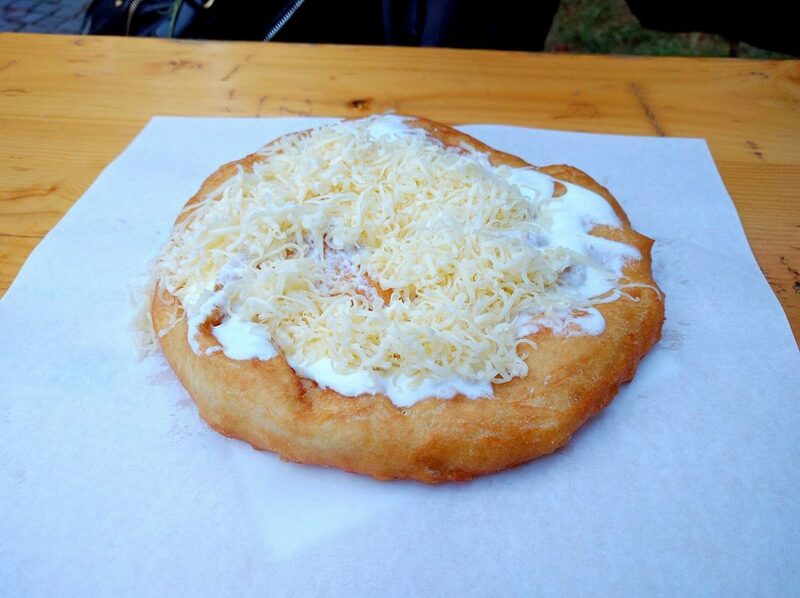 There are numerous toppings that can be added to a Lángos including things like potatoes, grated cheese, ham, sour cream or sausages. Known as a spit cake that was once only consumed on special occasions for a festive treat, it is now consumed daily by millions of people throughout Hungary. 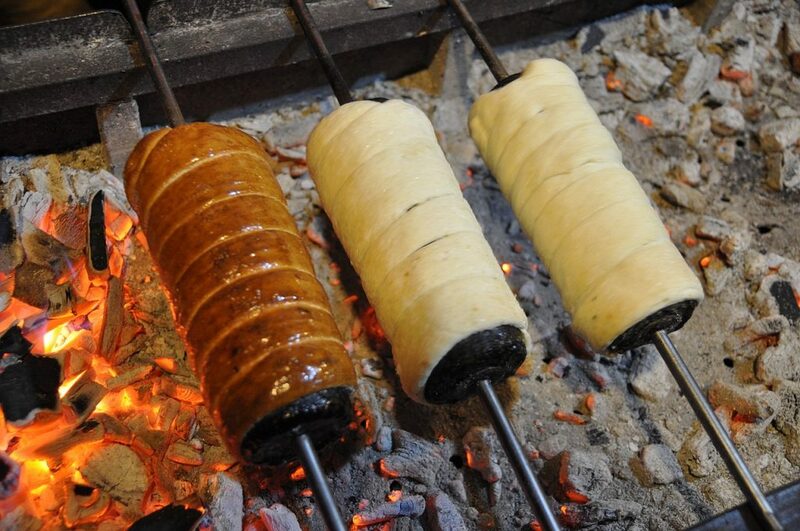 The cake (or chimney cake as it’s more commonly known) is made from sweet dough which is then spun around and coated in sugar to give it its shape – like a chimney. 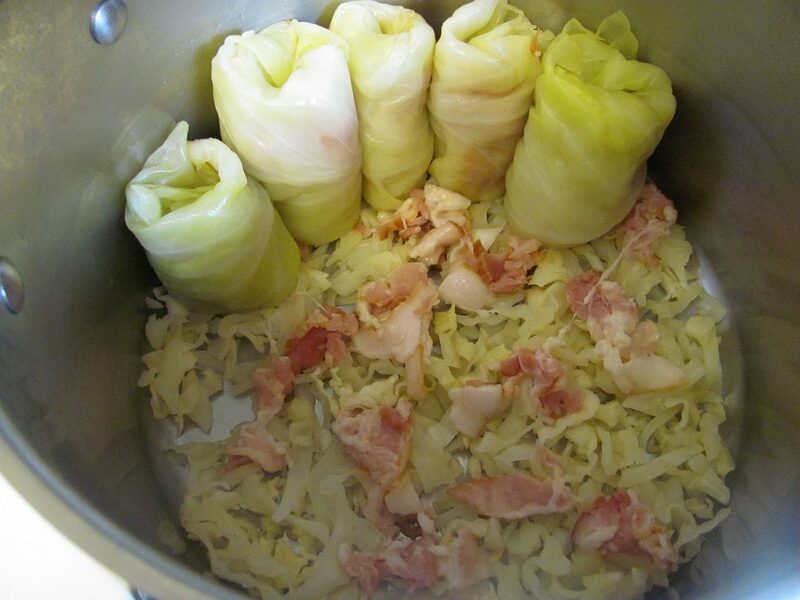 These stuffed cabbage rolls are made with pickled cabbage leaves, paprika, minced meat and a dollop of sour cream on top. They’re traditionally eaten during the winter months but can also be enjoyed at any time of year. 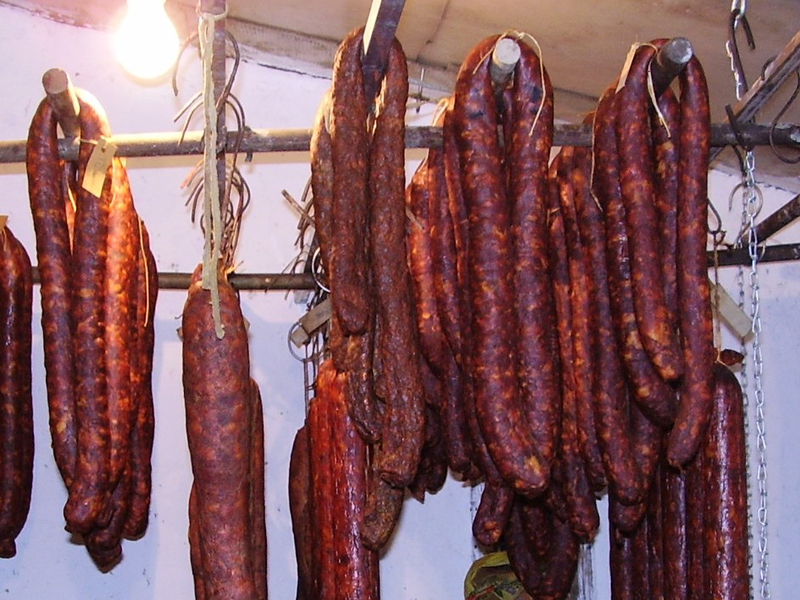 Hungarian sausages differ somewhat to other traditional sausages in that they can be cooked in a plethora of ways including boiled, dried or smoked and are often mixed with pork, beef or lamb as well as herbs and spices, garlic and pepper. 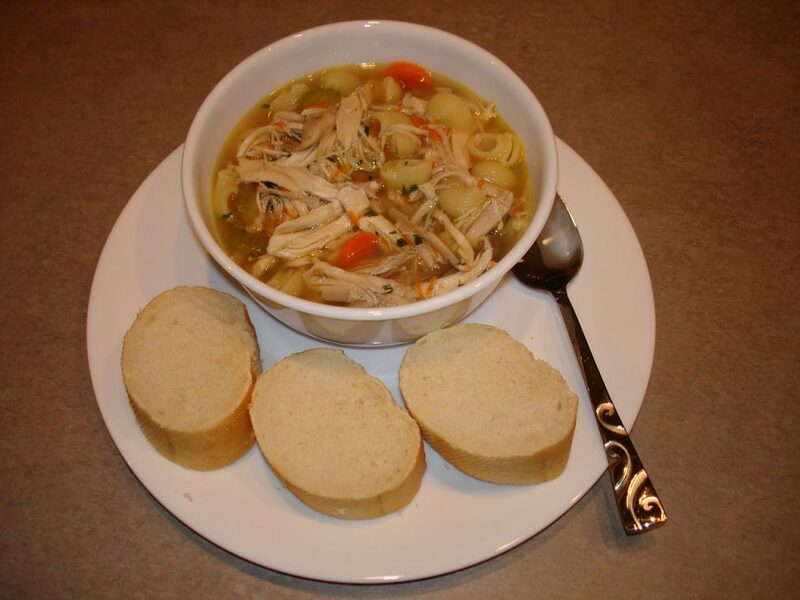 This is just one of Hungary’s many famous soups and is creamy and spicy, served with a stewed chicken leg. This local favourite comes equipped with a whole chicken as well as numerous vegetables such as carrots, tomato, mushrooms and garlic. It’s very often served at traditional Hungarian weddings. 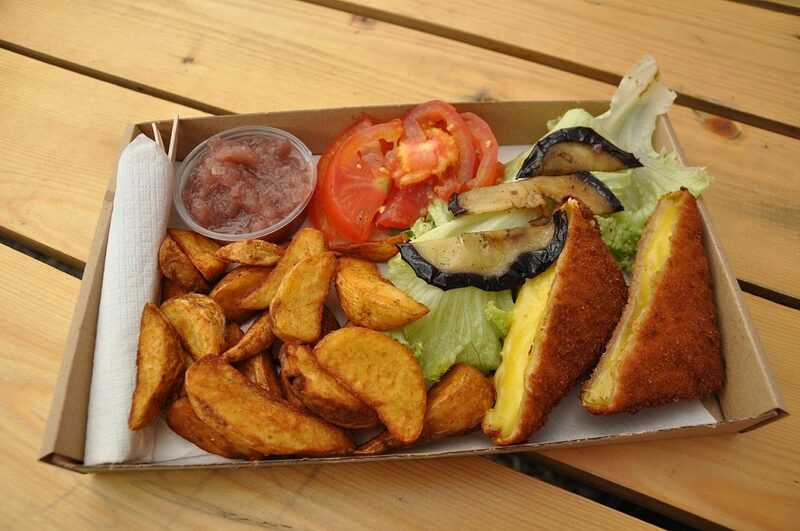 These are a beloved dish in Budapest and consist of deep fried cheese croquettes that are rolled in breadcrumbs and then deep fried. They’re remarkably unhealthy but incredibly delicious and moreish! 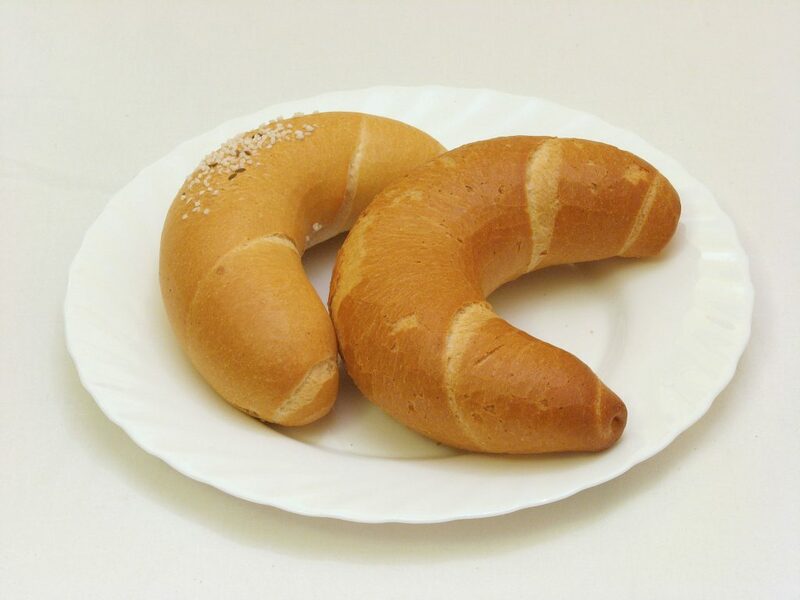 Kiflis are essentially Hungarian croissants and are typically eaten with jam and butter or even just plain. 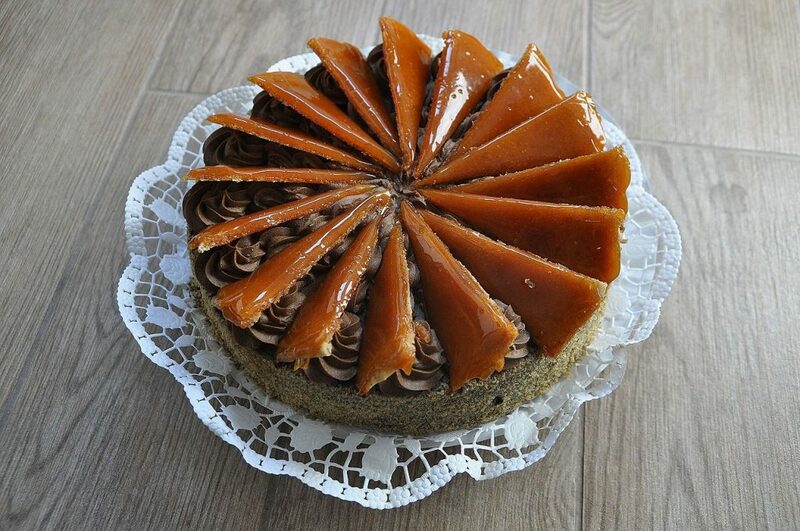 Dobos Torta is a decadent sponge cake that’s covered in caramel and chocolate cream. It’s made with five layers so it’s incredibly rich but a true delicacy in Budapest. 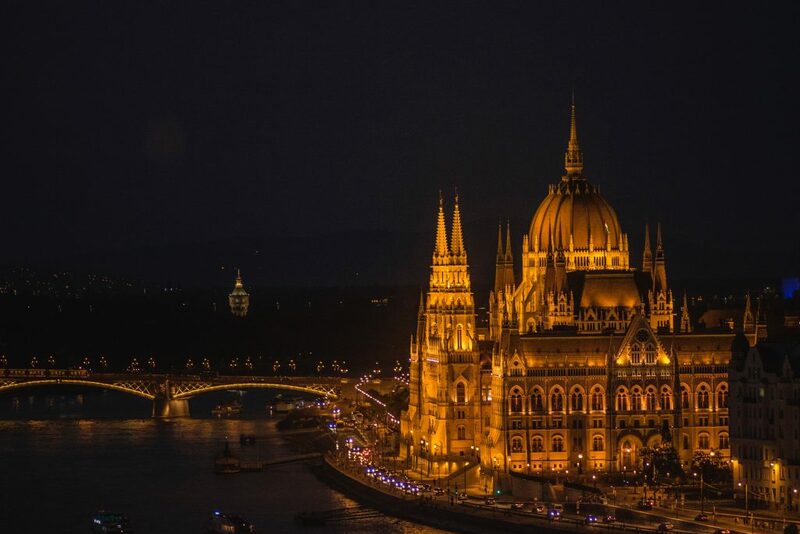 When travelling in Budapest, you can be confident that you’ll enjoy a warm, welcoming and safe environment that’s home to an abundance of history of culture. There’s a few useful travel tips that you should keep in mind when traveling to Budapest to ensure that you have the best time possible. While Hungary does reside in the European Union, they haven’t yet adopted the use of the Euro, and instead use a currency called the Hungarian Forint. The bills here come in 1000s and 10,000s so make sure you pay close attention as to what note you’re paying with! 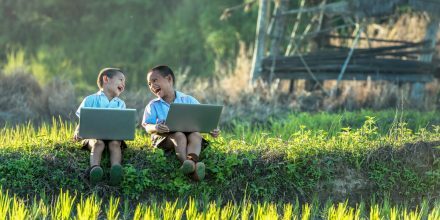 $100 USD equates to roughly 28,438 Hungarian Forint, so keep a close eye on those tips to make sure you don’t offer something incredibly extreme! Budapest is world renowned for its numerous thermal spas and baths and paying a visit to the likes of Gellért Baths or the Széchenyi Thermal Baths is an incredibly popular attraction to enjoy while in Budapest. There are 118 mineral pools for you to enjoy while in Budapest so bringing your swimsuit (and probably a towel) is essential to ensure that you’re well-prepared for your trip! Just one of the many great things about Budapest is that public transport is remarkably affordable. A single ticket will cost you around $1.68, but you can actually purchase a pack of ten to use throughout your trip that works out to only cost you about $1.40 per single ticket! The public transport system is also one of the oldest in the world (coming second only to the London Underground) and it’s an incredibly ideal way of getting around the city and making sure you see all the wonderful sights. Budapest is one of the most beloved cities in the whole of Europe. Famous for its thermal baths and spas, eclectic history and vibrant culture, Budapest is a city that should be on everyone’s bucket list. 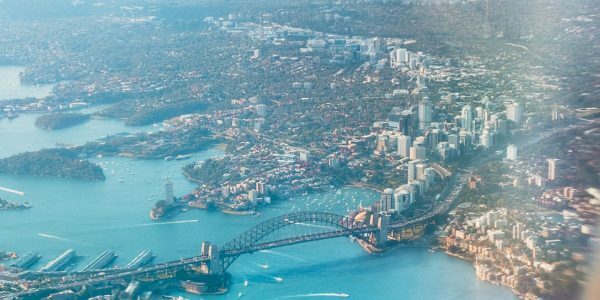 Not only is it absolutely teeming with so many exciting things to see and do, it’s also incredibly affordable considering it’s a capital city. Make sure you carve out time in your itinerary to lounge around in one of the 118 thermal pools, and don’t forget to pay a visit to the Hungarian Parliament building and Buda Castle to check out their impressive structures! 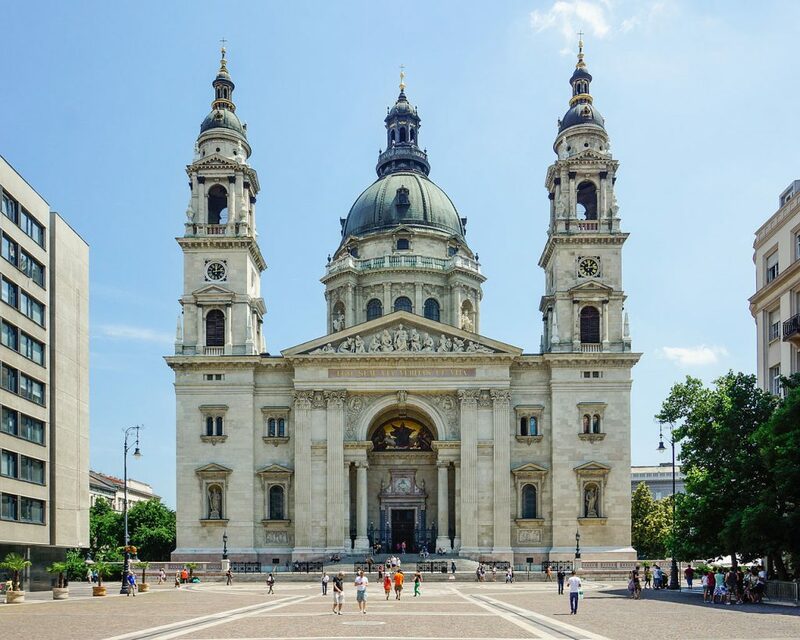 Hopefully this guide will help you on your next adventure to the amazing city of Budapest. Good luck on your next adventure and happy travels! 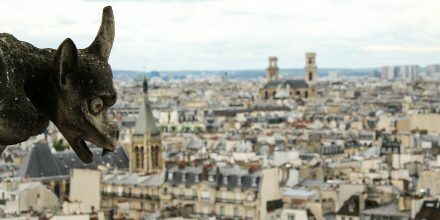 This article is a contribution from one of our amazing travel writers Chloe Dickenson on her experiences traveling Budapest. 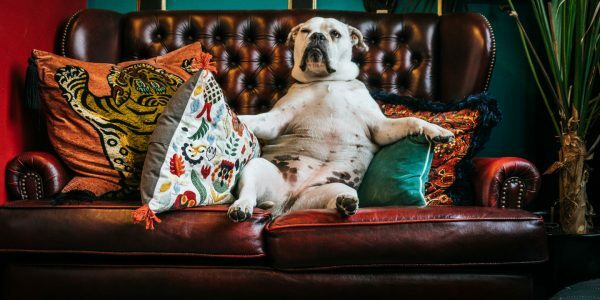 For more by Chloe check out her articles at www.imjustagirl16.co.uk.